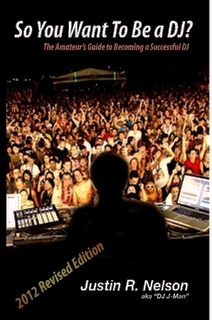 Virtual DJ Studio can help you be a successful DJ. However, you have to have access to your music. This can be accomplished easily using the included VDJ's internal Music Database. With it, you can search all of your music quickly and intelligently. To get started, click the Options button on the Music Database at the bottom of the VDJ main window. From there, you can choose any folder that contains music, and it will automatically search that folder as well as all sub-folders for any music or Karaoke files. The index may take a while to complete, depending on how many music files you have. The index runs in the background, so you can continue to use VDJ while it indexes your music. It looks for all .mp3, .kz and .zip files, opens each one, and reads the ID3 tag or other meta-data in order to make your searches fast, efficient, and as complete as possible. Karaoke files supported by VDJ include MP3+G (an .mp3 file with a corrosponding .cdg file), as well as Karaoke ZIP files (a .zip file containing both an .mp3 and .cdg file). Such .zip files can be renamed to .kz. You need to use a CD extration tool that recognizes CDG files. There is one available absolutely free called AudioGrabber. Make sure to also install the MP3 plugin offered on that page. When using AudioGrabber, you must go into the File menu and choose "Extract CD+G Disc". If you simply click "Grab", it will only grab the audio without the karaoke (lyrics) information. Note that there are other free and non-free utilities available to accomplish this task. A Google search should turn up many results. I personally prefer AudioGrabber as it does a fantastic job with error correction, direct MP3 creation, and more for free. In order to get the most out of Virtual DJ Studio's unmached Karaoke support, you need to first configure Windows to support multiple displays. Go into your Display Properties, and select the Advanced button or tab. Once there, with your secondary display connected, select the second screen, and check the box Extend my Desktop to This Display. This will enable the second screen to display separate content from the main display. You can very easily enable a second monitor or television in Windows 7 and above. Simply hold the Windows key and press 'P' to bring up the Projector dialog. From there, click on "Extend". Even though your monitor or TV screen may not be a Projector per-se, this setting works for any external screen. Now, when you play a Karaoke song, the lyrics appear on a separate window. This window can be dragged to the second display, and with a simple double-click it will become full-screen. Depending on your computer and connection options you may have available, you can use either an external computer monitor, or a television screen. With the right connections you can even connect multiple televisions to allow other patrons to observe the lyrics.